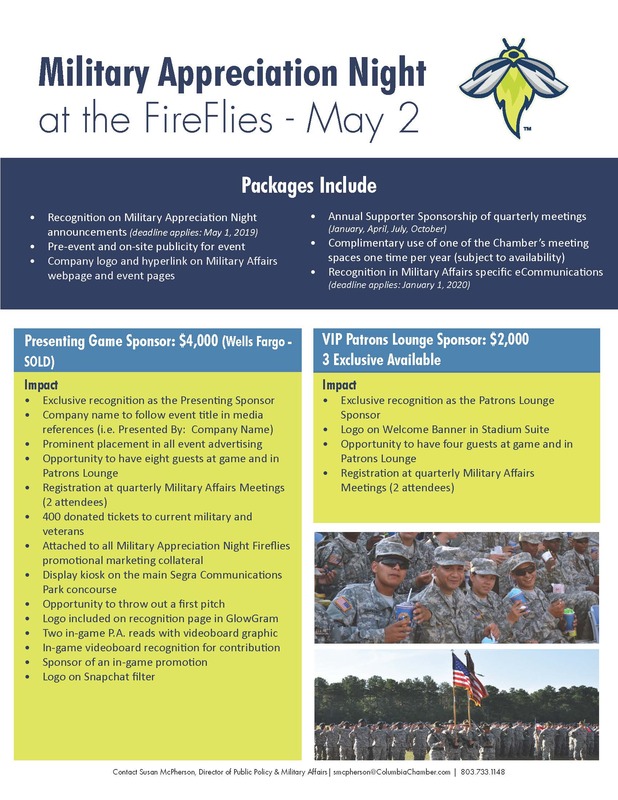 Join the Columbia Chamber and Wells Fargo for Military Appreciation Night at the Columbia Fireflies Baseball Game! On Military Appreciation Night we will be thanking veterans and those currently serving in the branches of the military. Tickets must be purchased through Columbia Fireflies website.